Just when I was getting sick of people telling Peggy—to her face, on repeat—that the men she works with will never respect her, Agent Carter brings back some of Peggy’s war buddies and we get to spend a refreshing hour watching people who genuinely respect Peggy work effectively with her. Agent Carter was just beginning to wear the sexism schtick too thin—which is what happens when you keep having super obvious conversations about the same topic—we’re reminded that not everyone treats Peggy like a sandwich girl. 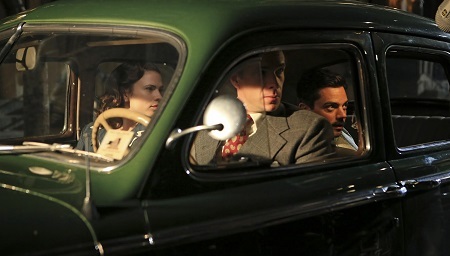 This episode sees Peggy and Agent Thompson heading to Russia to investigate a lead about Howard’s stolen weapons, and they hook up with the Howling Commandos to complete the mission. Well, they hook up with some budget Commandos from the comics who were not in the The First Avenger, and Dum Dum Dugan (Neal McDonough). 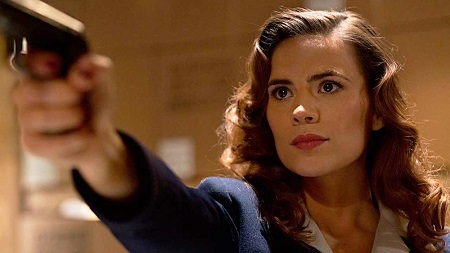 After a State of the Union hiatus, Agent Carter returned without missing a beat. 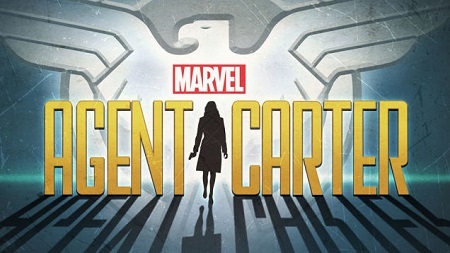 In very short order, this show has become everything I wanted out of a Marvel TV show—exciting action, a mix of fun and dramatic character moments, and meaningful connections to the Marvel Cinematic Universe. 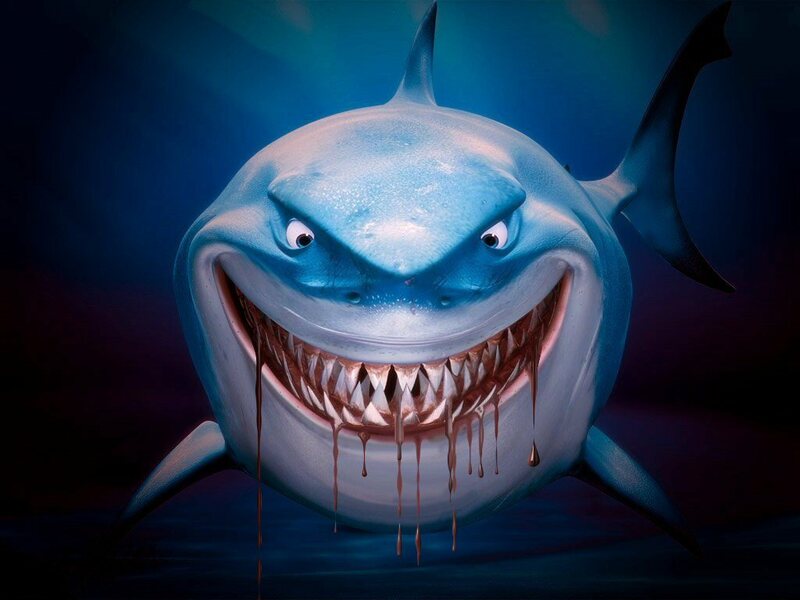 The best part about that last one is that the show’s writers are managing to create those connections without banging you over the head with reminders about what’s gone on in the movies. You don’t need to have seen both Captain America movies in order to understand Peggy Carter, and if you haven’t seen Iron Man, you can still enjoy caddish Howard Stark. This week’s episode was chock full of those sub-connections, which went a long way to enhance the movie characters, especially Tony Stark. In its third episode, Marvel’s Agent Carter builds on the solid start of its doubled-down premiere and accomplishes in three episodes what Agents of SHIELD hasn’t quite managed to do in one and a half seasons—become a fun, engaging, must-watch hour of nerd TV. Agent Carter is doing so much to expand and shade in various corners of the Marvel Cinematic Universe, and beyond that, it’s giving us the female superhero we’ve all been dying to see. Because while she might not have superpowers, Peggy Carter is CLEARLY a superhero. Last night was the two-hour premiere of Marvel Studios’ latest TV venture, Agent Carter, a spin-off series starring Captain America’s main squeeze, Peggy Carter. It’s the second network show for Marvel, following last year’s Agents of SHIELD, and since there are only eight episodes in what is being billed as a “limited series”—aka, “we’re not planning on renewing this unless it’s REALLY popular”—I’ll be recapping episodes each week. Let’s start with this two-hour premiere, which set up Peggy’s post-World War II, post-Captain America life in New York. After two decent episodes that featured momentary delights, if not all-engrossing plots like seasons before, Sherlock ends on one of its strongest episodes ever. Objectively, “His Last Vow” ranks behind only “The Reichenbach Fall”, but personally I’d put it ahead of “Fall” simply because “Fall” kind of hurts to watch and “Vow” doesn’t, which makes it a little more re-watchable, but that’s just me and my angst-avoidance policy. Still, “Vow” is a tremendous episode that features the best acting yet from Martin Freeman and Benedict Cumberbatch, as well as a satisfying arc for Amanda Abbington as Mary Watson, and Danish actor Lars Mikkelsen (brother of Mads) turns in a brilliantly creepy performance as the villain, Charles Magnussen. 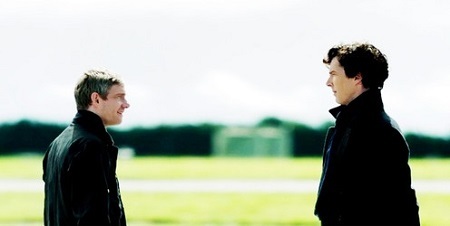 Overall, it’s a stellar episode to close out Sherlock’s third season. Through the first two seasons of Sherlock, the one episode people consistently cited as the “worst”—and I use that term very loosely, as there’s no such thing as a bad episode of Sherlock—was season two’s “The Hound of Baskerville”. That was the one episode that in no way tied back to Moriarty, and so it ended up having a kind of inconsequential feel. It feels a bit like a placeholder, like a kind of thematic intermission. Well, with Moriarty gone, so far season three has a similar time-killing feel to it. It’s not that the episodes aren’t good—they are very good. It’s just that they don’t feel important and without the looming threat of a Big Bad, they lack the gravitas of the previous seasons of Sherlock. 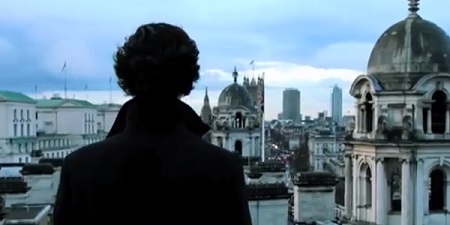 It’s been nearly two years since we watched Sherlock Holmes jump off a hospital roof in London, and in that time we have hashed and rehashed what just happened and how Sherlock could have survived. In the end, it was the simplest possible explanation, a matter of perfect timing, flawless execution and depending on Moriarty to clean up his own loose ends. “It’s a bit disappointing,” Anderson says to Sherlock. “Everybody’s a critic,” Sherlock returns. You get the sense this exchange is show co-creators and writers Steven Moffat and Mark Gatiss tipping their hats to the audience who has built this event up for two years, a way of acknowledging that their version of events has likely been outstripped by the imaginations of their fans. I, for one, was not disappointed. I would have hated it if they’d come with the kind of Mission: Impossible scenario Anderson dreams up. What they went with stretches credulity, but it does work.